Snapshot – The ever expanding Indian SUV market now has no less than 10 SUVs that come with a 4X4 mechanism. The 4X4 function is particularly handy feature for those who like to take their SUVs off the beaten path. CarToq lists out 10 affordable SUVs, all priced under 15 lakh rupees, and which offer the 4X4 feature. The Mahindra Thar DI is an old school off roader with solid axles and leaf sprung suspension all around. The Thar DI is aimed at buyers in the smaller towns and villages of the country, which continue to have less than perfect roads and plenty of trails to stake out. 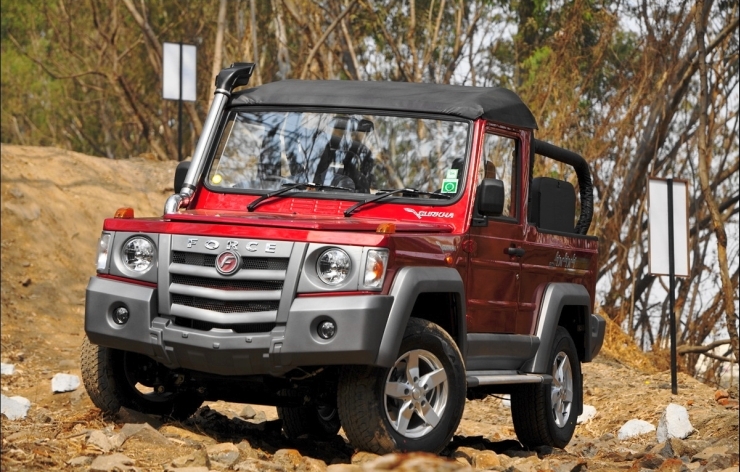 The Thar DI hosts a 2.5 liter turbo diesel engine that makes 63 Bhp of peak power and 180 Nm of peak torque. A five speed manual transmission is standard, along with a rear wheel drive layout. A 4X4 option can be specified, which get 4-low and 4-high ratios. 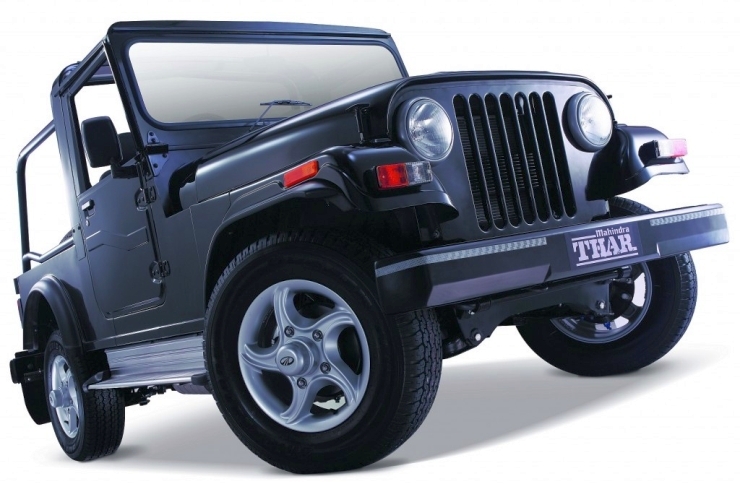 The Thar DI is the lowest priced 4X4 SUV that money can buy in India, with its price starting from 5.3 lakh rupees. 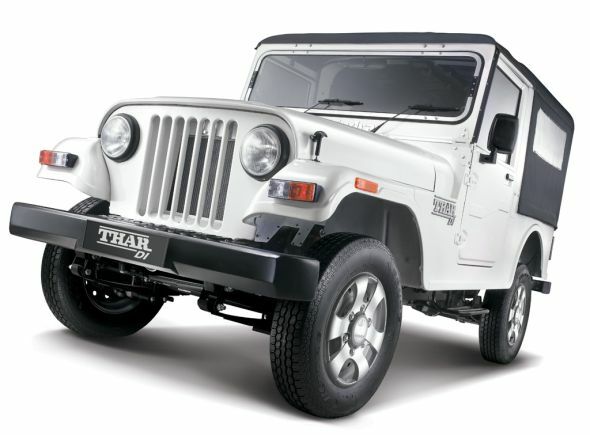 The Thar CRDe is a more refined, enthusiast targeted version of the Thar DI. Equipped with a power steering, air conditioning and minor semblances of creature comforts such as an independently suspended front end, the Thar CRDe hosts a powerful 2.5 liter turbo diesel engine that pumps out 105 Bhp-247 Nm. The Thar CRDe operates by means of five speed gearbox and a rear wheel drive layout. A four wheel drive layout with 4-low and 4-high ratios are standard fare. The high level of customization that the Thar CRDe offers makes it a modifiers delight. 7.37 lakh rupees is the asking price for the Thar CRDe 4X4. Endearingly called the mountain goat, the Maruti Suzuki Gypsy is a consummate operator off the road. A staple among the country’s armed and paramilitary forces, Maruti Suzuki does also take orders from civilians who can live with the bone jarring ride that leaf springs deliver and a bare basic off roader that the Gypsy has come to represent. Petrol powered, the Gypsy uses a 1.3 liter engine that pushes out 80 Bhp-103 Nm. A five speed manual gearbox alternates between rear wheel drive – and when the going gets tough – four wheel drive layouts. The 4X4 function is gets 4-low and 4-high ratios. The Gypsy Soft Top is priced at 5.79 lakh rupees, while the hard top version retails for 5.93 lakh rupees. The Force Gurkha is due for an official launch in the next few weeks. A Thar competitor, the Gurkha will be sold in soft top and hard top variants. Both variants get a 4X4 mechanism. In terms of the engine and transmission bits, the Gurkha uses a 2.6 liter turbo diesel engine that outputs 80 Bhp-230 Nm. 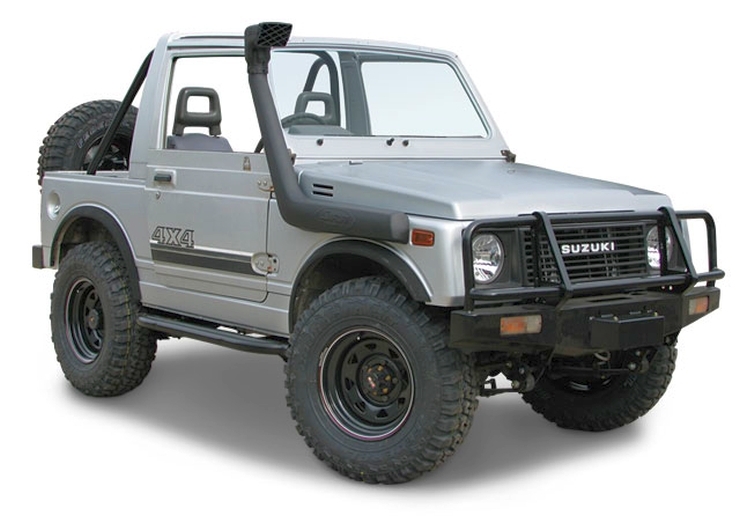 The off roader uses a ladder frame chassis and a rear wheel drive layout. In terms of equipment, the five seat, two door Gurkha is as basic as the Thar CRDe with the only concessions being those of the independent suspension, air conditioning and a power steering. Provisional prices for the soft top and hard top versions of the Gurkha 4X4 are, 8.35 lakh rupees and 8.5 lakh rupees respectively. A pick up truck based on the older Scorpio’s non hydroformed ladder frame chassis, the Scorpio Getaway mates the torquey, 2.6 liter turbo diesel engine with a 5 speed manual gearbox and a Borg Warner shift-on-the-fly four wheel drive layout. The Scorpio Getaway is a versatile SUV that has plenty of potential as a expedition vehicle. The SUV uses a 2.6 liter CRDe turbo diesel engine that makes 115 Bhp-280 Nm. The Scorpio Getaway is among the few pick up trucks in India that are aimed at lifestyle buyers. The Scorpio Getaway 4X4 is priced at 8.85 lakh rupees. 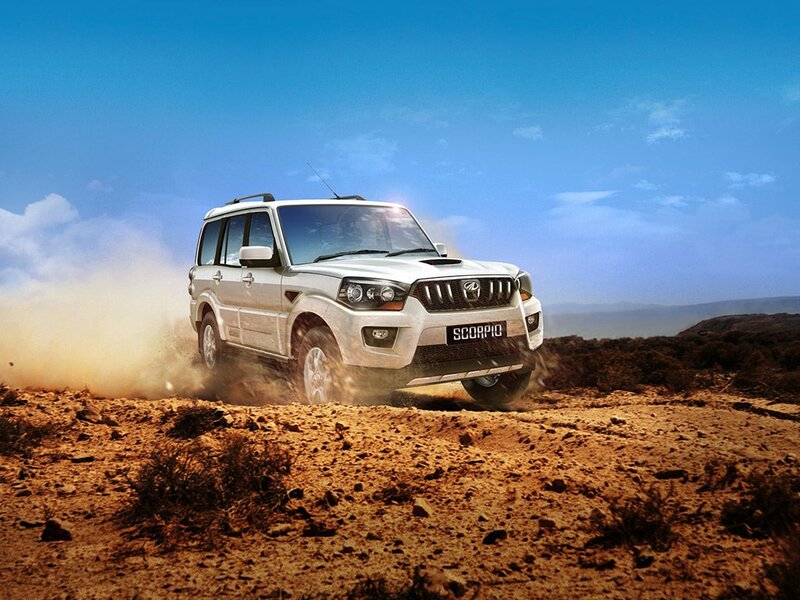 Mahindra recently launched a facelifted version of the Scorpio SUV in India. The Scorpio, in its latest guise, continues to operate with a ladder frame chassis, which receives hydroforming. With a wider track and revised suspension, the Scorpio is expected to be a better handler than before. The other story around the SUV is its 4X4 variants, which continue to be offered in two flavours, S4 and S10. Mahindra has smartly added ABS and Airbags, as optional equipment onto the S4 variant, thus making the S4 variant more appealing to buyers. The S10 4X4 variant is essentially the fully loaded Scorpio Facelift. Both variants use 2.2 liter mHawk turbo diesel engines that make 120 Bhp-280 Nm. A brand new 5 speed manual transmission handles torque transfer functions. A Borg-Warner shift-on-the-fly 4X4 system is offered on the S4 and S10 variants. The S4 4WD sells for 10.11 lakh rupees, while the S10 4WD is priced at 13.05 lakh rupees. 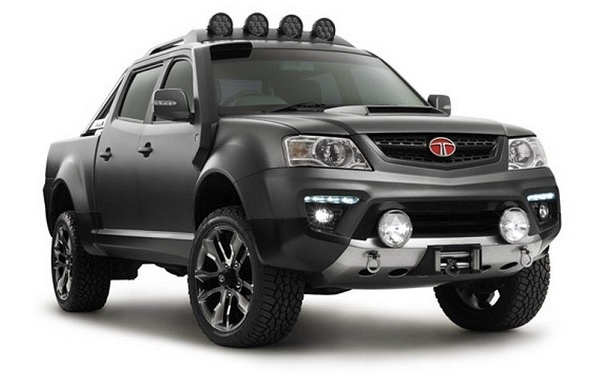 The Xenon XT is Tata Motors’ version of a lifestyle pick up truck to rival the Mahindra Scorpio Getaway. The Xenon XT uses underpinnings borrowed from the 207 Telcoline pick up truck line. A four wheel drive system is added along with the 2.2 liter DICOR turbo diesel engine (138 Bhp-320 Nm) and a 5 speed manual transmission. 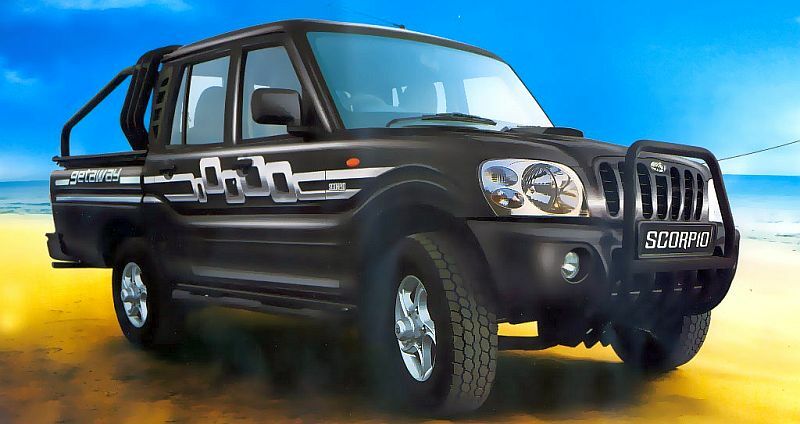 Priced at 10.5 lakh rupees, the Xenon XT is considerably more expensive than the Scorpio Getaway. However, the additional money gets you ABS+EBD, two life saving safety features that vehicles of the Xenon XT’s size require as standard kit. 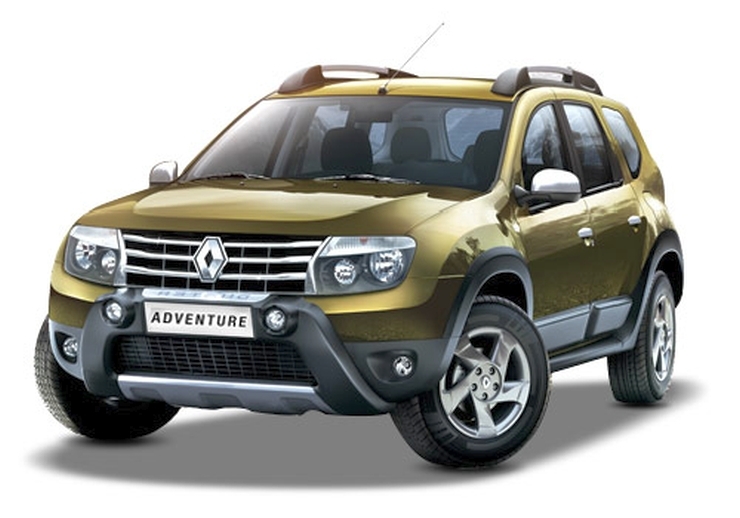 Renault India equipped its best selling vehicle, the Duster SUV, with an all wheel drive mechanism last week. The Duster AWD is one of those rare, affordable vehicles in India that feature a monocoque body, a diesel heart and a part time all wheel drive function, at a sub-12 lakh rupee price point. Sold in RxL 110 PS and RxZ 110 PS variants, the Duster AWD uses a Haldex clutch powered all wheel drive system that comes with lock, front wheel drive and auto AWD modes. The engine of the Duster AWD is a 1.5 liter diesel that makes 108 Bhp-248 Nm. A six speed manual gearbox is standard. Prices of the Duster AWD start at 11.89 lakh rupees for the RxL variant, going up to 12.99 lakh rupees for the RxZ variant. 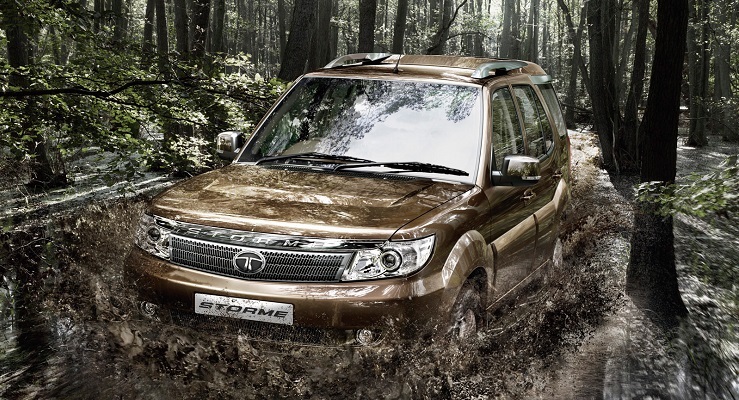 The Safari Storme is another ladder frame SUV that is one of the best 4X4 offerings from Tata Motors. The 4X4 feature is available only on the t0p-end Storme VX, which also means that the SUV is a fully loaded model. In terms of mechanicals, the Safari Storme gets a 2.2 liter turbo diesel engine (138 Bhp-320 Nm) and a five speed manual gearbox. A shift-on-the-fly Bprg Warner 4X4 mechanism comes with high and low ratios. ABS and twin airbags are offered on the Safari Storme, which is one of the most comfortable sub-20 lakh rupees SUVs sold in India. In terms of pricing, the Safari Storme VX 4X4 SUV is pegged at 13.73 lakh rupees. A flagship vehicle in Mahindra & Mahindra’s line up for India, the homegrown XUV500 crossover gets a all wheel drive system that automatically detects wheel slip and accordingly modulates torque to the four wheels. The XUV500 gets a 2.2 liter mHawk turbo diesel engine that churns out 140 Bhp and 330 Nm. Arguably the smoothest turbo diesel motor sold in India, in the sub-20 lakh rupee segments, the motor is paired with a 6 speed manual gearbox. 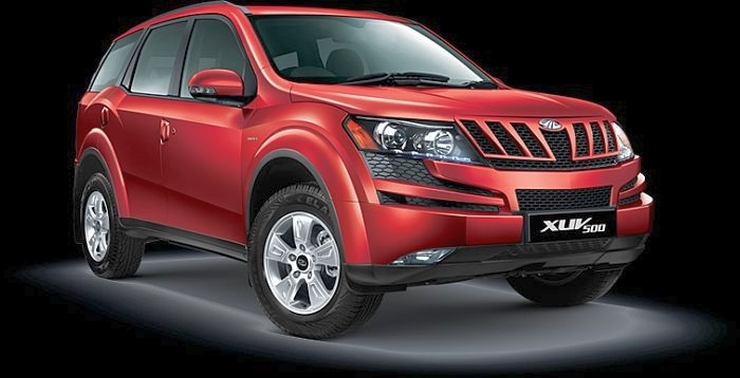 A runaway success for Mahindra, the XUV500 features monocoque construction. The XUV500 W8 AWD variant is priced at 14.68 lakh rupees. The Tata Aria is one of those rare crossovers that pair a ladder frame chassis with an all wheel drive layout. The big, butch Tata vehicle is known for its feature filled interiors that offer acres of space. Although the Aria’s rear wheel driven variant starts as low as 8.85 lakh rupees on the back of heavy discounting, the top-end Aria Pride with the 4X4 function is priced at 14.72 lakh rupees. For this kind of money, you get a 2.2 liter turbo diesel engine that makes 147 Bhp-320 Nm, a five speed manual gearbox and an all wheel drive system in terms of mechanicals.